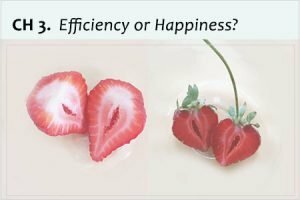 In the previous chapter, we discussed the mechanism of how “more” turned into “less” – or how the efficiency-first economy initiated huge production increases by favoring modern technology over people’s abilities, and ended up isolating us from happiness. In this chapter, we start discussing how the “Less is more” economy can flip the dynamics and start generating “more” from “less.” As we discussed earlier, the missing pieces in the current system to fully embrace happiness are our own resilience and process of self-actualization. We need to transform the current efficiency-first (“less” from “more”) economy to a resilience-first (“more” from “less”) system. If the current system embraces efficiency because it was the best weapon to maximize quantifiable outcome- to make 1+1 to 2+2 or 3+3 very quickly, the new system needs to have a force that can also maximize unquantifiable outputs so that 1+1 = “∞.” What can do such a thing? It has to be “design.” Design that is supported by solid aesthetics. 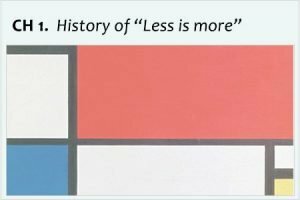 This may sound odd, but there is a profound reason for it as we notice that “less is more” approaches often emerge from the world of art/design. When you try to increase 1+1 to 2+2, you may establish sales targets by identifying areas for improved efficiency, such as a 50% cost reduction or doubling the production. We know a great deal on how we set mathematical strategies. However, we have no established pathways to achieve 1+1= “∞.” When there are no good precedents, we need to design from scratch. “Design” in the context of the “less is more” is not only about creating unique forms or shapes; it’s also about harnessing the moxie to trail blaze unexplored paths to reach the truth. And because it’s not an easy job, this path needs to be supported by solid aesthetics, or a persistent attitude toward beauty – again, not just artistic beauty but also the philosophy toward life and happiness that you seek. 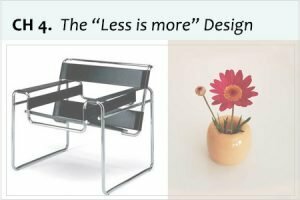 Otherwise “less” can easily turn into “less.” If this sounds daunting, we don’t have to be overwhelmed because there are actually already many products out there that share the spirit of the “less is more” design. Take training wheels that children use to learn bike riding. Children have inherent capability to ride a bike. But when an ability has never been used before, they first need to learn how to discover it. Training wheels play a role of gradually and effectively introducing children to their unexplored power, and help them learn how to control it. When the goal of the product is to support users who want to unleash their own potential, we naturally apply the “less is more” design; the training wheels do not provide consistent balance so that beginner riders will learn the art of coordination on their own; they also are visibly temporary in order for kids to be motivated to grow out of them as soon as they can; no extra fanciness or functionality necessary because that will work against the goal of encouraging independent riding. As the training wheels example shows, the most critical factor in “less is more” design is the balance of what is eliminated versus what is kept, which reflects how much work/pain – both physically and physically – a user is willing to take on by herself. The determination to keep pedaling, fighting the fear of falling down versus how much she wants to outsource, that is the sense of security and physical stability delivered by supporting wheels. 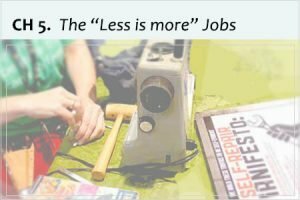 The modern economy tries to make such a ratio close to 0:10 (“let-us-take-care-of-it-for-you” approach), which is proven to have distanced us from happiness. But as much as 0:10 is a non-starter, 10:0 does not work either because we need “some” external supports so that we can identify our hidden abilities and unleash them. So the question comes down to: what is the right balance? It is a delicate one because you don’t want users to give up before accomplishing much, but you also shouldn’t deliver a product/service that gets too much of the job done before users can accomplish their part. So you’d need a solid guide that governs your judgment process. This is the job of aesthetics, and they constitute the remaining half of the “less is more” design. Aesthetics are the North Star that takes you through a conscientious, often painful process of subtraction, during which you have to keep questioning “do we really need this?” until the ultimate essential elements are revealed. Training wheels may not need much aesthetic attention because of the straightforward nature of their goal, but they become critical in many other areas, and the companies that are brave enough to tackle this cryptic “less is more design” with solid aesthetics often become significant brands. They established their unique philosophy and recipe to arrive at “∞,” and maintain trust-based, long-lasting relationships with their users/fans. Let’s now look at two prime examples. The first one is based on the aesthetics of “emptiness” (the Zen rock garden and MUJI), and the second one leverages functionality (the Bauhaus and Patagonia). “Emptiness” is an important quality in “less is more” design, which has been embraced in Japanese culture for a long time. Influenced by Buddhism philosophy, the Japanese cherished the ever-changing quality of nature, and found beauty in its elusiveness. They leveraged voids and margins as undefined buffers capable of housing infinite potential that could become A, then transform to B, and finally transcend to something much larger. For example, blossoming spring invites the seasons of growth and harvesting. Then comes winter, in which little sign of life is observed. However, winters is a precursor to another spring. Ever-chaining season can never be defined in a static way, but that’s exactly why it’s full of beauty and potential. The Ryoan-ji Temple Zen rock garden in Kyoto, Japan, is a perfect example of the aesthetics of “emptiness.” Built in the 15th century, the garden famously uses only 15 rocks that come in different sizes/shapes to loosely form three sections in a cleanly gravel-raked space of about 250 square feet. No one knows for sure who designed this garden or the theme of the design, and the mystery has fascinated visitors from all over the world for hundreds of years. Some say it represents a story from Chinese ancient folklore; others say it reflects humans’ insurmountable “imperfect” nature. Yet another group see significance in the number of rocks that forms each group: three, five and seven. Visitors spend hours sitting in front of the garden, just being absorbed by the beauty of emptiness. It is clear that people’s imagination has been fully mobilized not despite of, but because of the “less-ness” of the design. If the designer used more elements to make the garden look fancier, the presentation would have become more descriptive – “let-me-explain-everything-for-you” approach. While such an approach would have helped visitors jump to the fast, easy conclusion, it would have deprived them of the opportunity to react to profound inspiration, mobilize all their senses and hover over the vast sea of imagination. That kind of prescriptive garden still would have been beautiful, but not as mysterious and transcendental as Ryoan-ji is now. But at the same time, if you just laid 15 rocks randomly, it would have become a typical “less is less” outcome, which wouldn’t have inspired anyone. Design and solid aesthetics need to go hand in hand to let true “∞” emerge. The design of Ryoan-ji rock garden shows that the empty void created by only 15 rocks unleashes our imagination to a profound level. 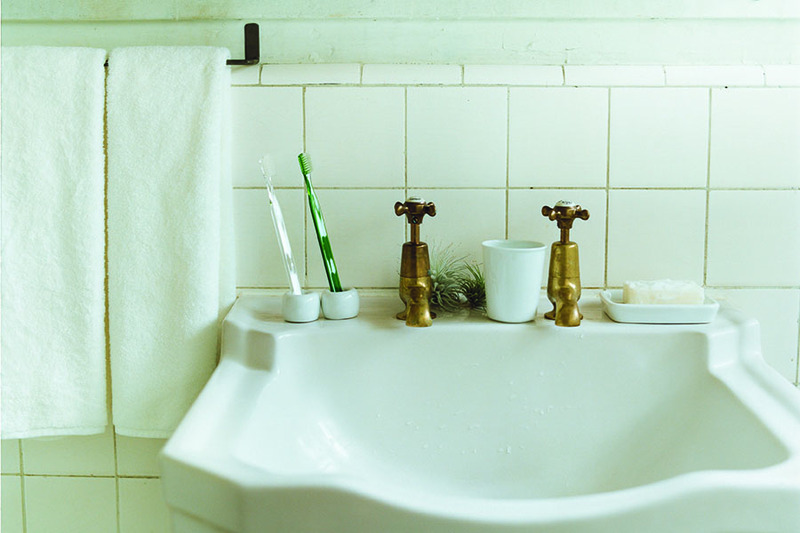 That spirit is inherited by MUJI, a Japanese brand that offers simple, no-frills daily products. 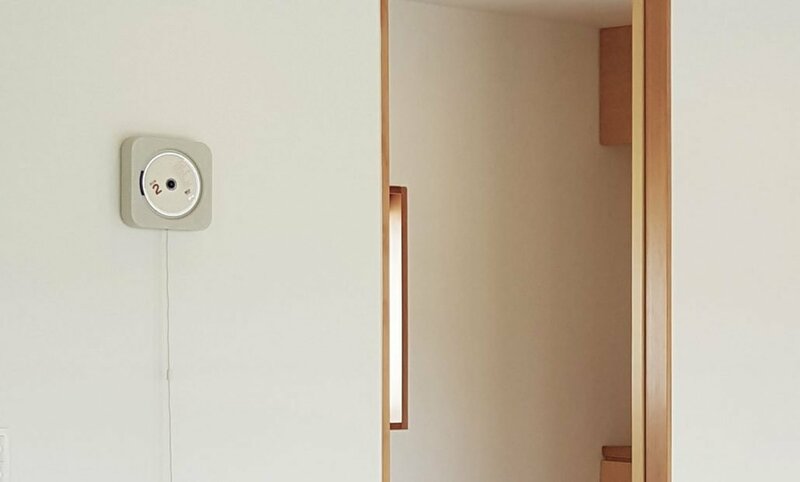 Since its foundation almost four decades ago, MUJI has been designing “empty” products that unleash users’ inspiration and creativity to help them design their own life style. MUJI was founded in 1980 in Tokyo, Japan, with a mission to question the rapidly growing trend in mass production and consumption. One of the very first products that defined MUJI’s philosophy was cosmetically challenged (hence rejected as defects) dried shiitake mushrooms (they produce great broth!). 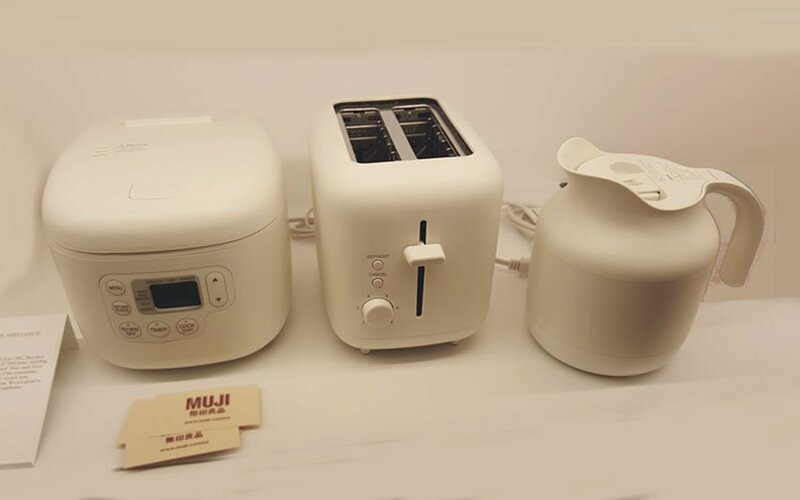 When no one really cared about waste amid a euphoric economic growth, MUJI took a stand to remind people that there was nothing more important than quality. 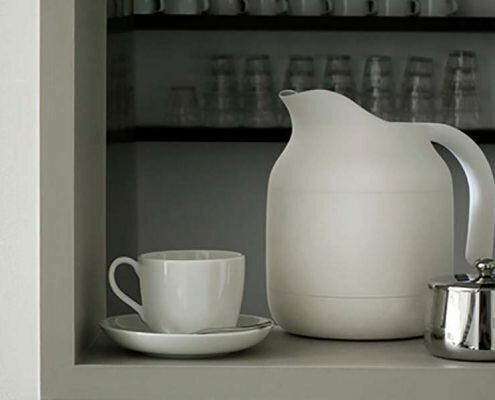 Since then, MUJI has been designing products based on three fundamental principles that stay unchanged to this day: 1) choose materials carefully, 2) streamline processes, and 3) simplify packaging. 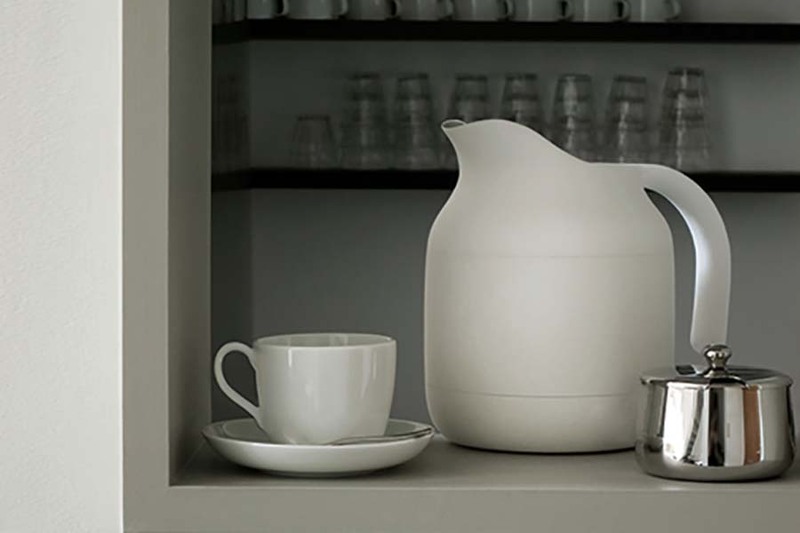 The resulting products are simple and “empty,” as Kenya Hara – MUJI’s branding mastermind and renowned graphic designer – puts it, capable of embracing every user’s unique inspiration and taste without restricting or interfering it. In 1980, MUJI (which means “no brand, quality goods”) started with 40 items. It now offers everything you need to live, even including houses. 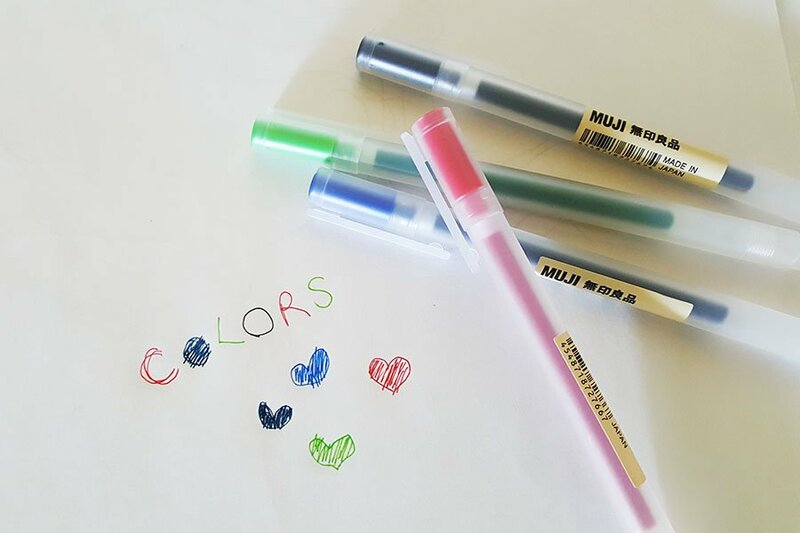 With MUJI, you quickly realize that determining everything you need also means eliminating everything you don’t need. 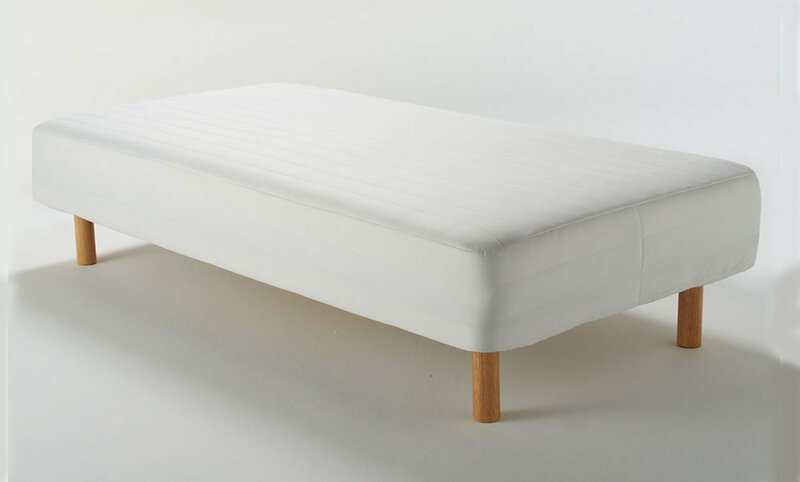 One of MUJI’s bestselling, signature products is the Pocket Coil Mattress, a compact single bed with removable legs. 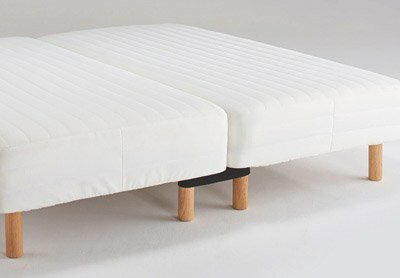 It is “simple” because it is created from only mattress and small legs. But according to Hara, this product is “empty” rather than simple, since 1). It fits any room with any interior design, background, non-intrusive furniture. 2). It can be used as a bed or a sofa, leaving room for users to decide how to leverage it. 3). 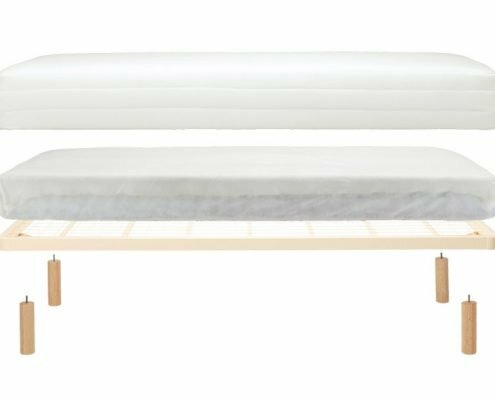 It focuses on functionality (sleeping comfort, stability and adjustable height), not on excess frills. 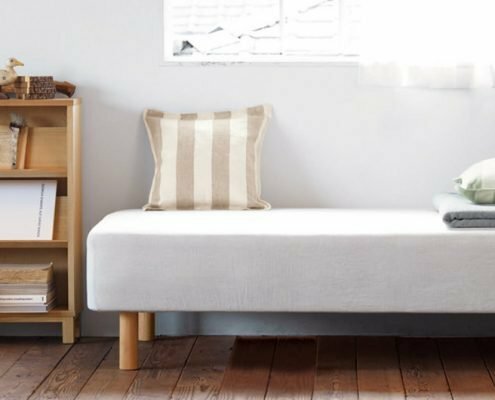 A bed in a compact room can be a pain in the neck because how can you strike the right balance/priorities between its presence/role and the size of the room? 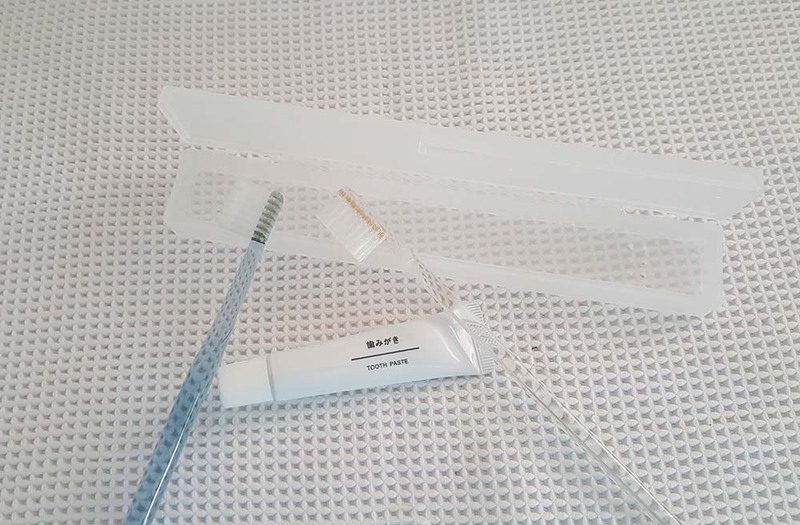 MUJI took many details into consideration. For appearance, it decided on a soothing and quiet rectangular design that would dissolve in the background without overwhelming the room. Users get to choose between four size options starting from 83 cm in width, depending on their needs. They also get to choose if they require removable legs or not, which come in different heights and colors. 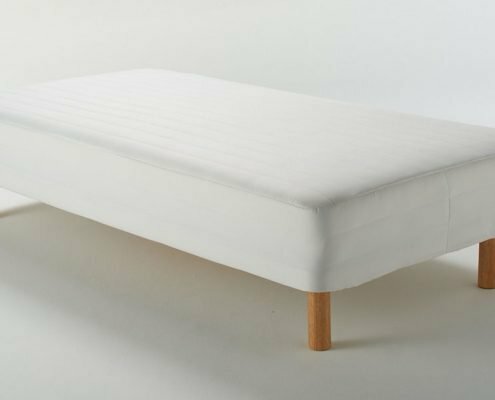 While the appearance is minimalist, MUJI put a lot of work into it: the mattress uses a combination of soft, medium and hard spring coils that are placed in different areas to maximize the sitting/laying experience. It is supported by a sturdy frame that uses a grid design to offer the right amount of flexibility and ventilation. Most parts are replaceable and recyclable. If you need an extension to accommodate your visitors, you can connect two mattresses seamlessly to make a larger bed. 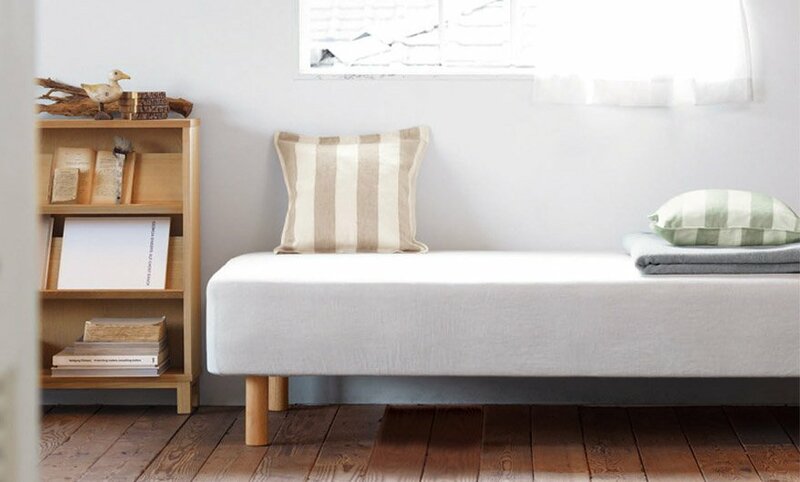 The common philosophy observed in the dried shiitake and the Pocket Coil Mattress is MUJI’s faith and respect towards its customers. 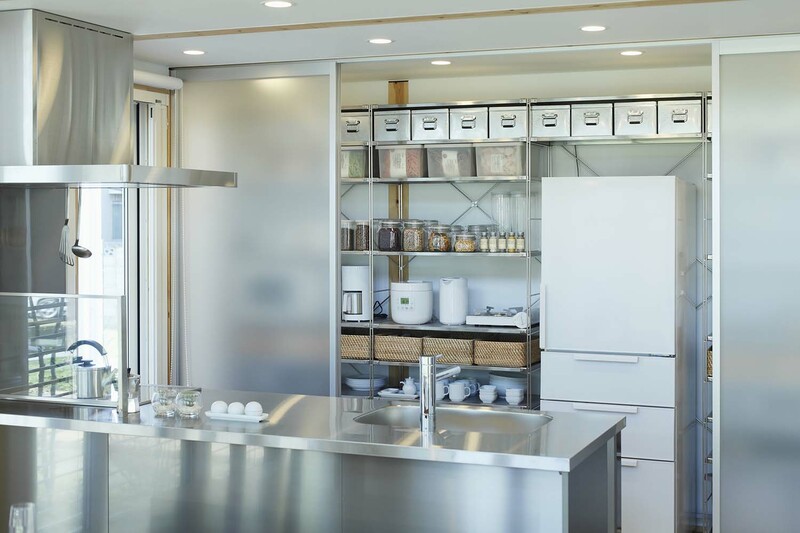 MUJI believes that they are capable of choosing quality over superfluous appearance, and managing different options to create an outcome that best fits their needs. And customers responded with enthusiasm. MUJI’s online product reviews are filled with comments boasting of a “Look at my own way of using MUJI items!” kind of excitement. 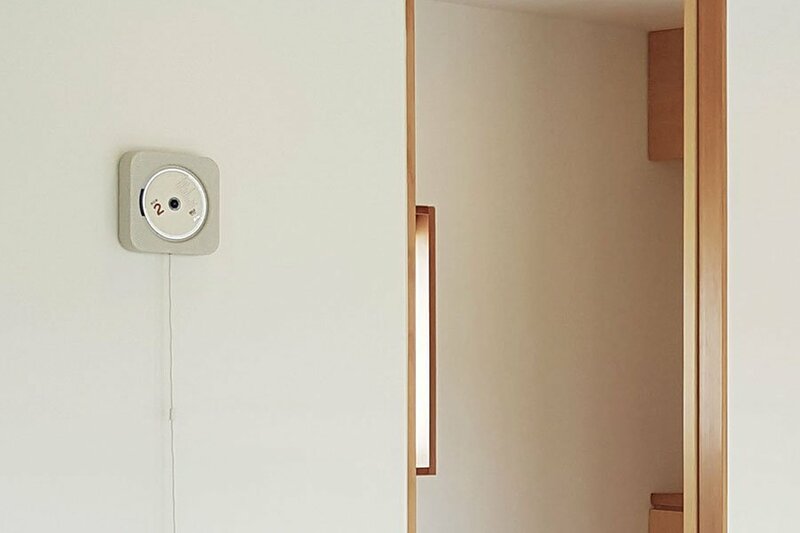 No wonder why MUJI is often called commercial Zen: just like the Ryoan-ji Zen garden that only used 15 rocks to fully unleash visitors’ imagination, MUJI’s “empty” products unleash users’ creative power to help them maximize their day-to-day life experiences. End results are personalized, a unique joy of living found/designed by each customer, who are proud of their own creation. In the early 20th century, amid rapid industrialization that democratized every aspect of society, art and industrial design met minimalism, and the Bauhaus was born. Inspired by people who were increasingly freed from authoritative regimes and finding opportunities to test their own abilities to achieve their dreams, the Bauhaus designers were determined to design devices to empower and celebrate their new power. Functionality-focused minimalist design was their natural choice, because 1). It emphasized peoples’ own ability by rejecting unnecessary decoration 2). It streamlined the manufacturing process and made products accessible by significantly more people, 3). It was the best way to leverage emerging industrial materials such as steel and concrete. 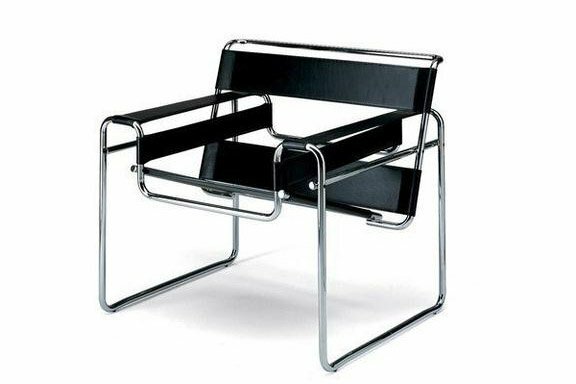 The Wassily Chair was designed by Marcel Breuer in 1925-1926 while he was the head of the cabinet-making workshop at the Bauhaus. The Bauhaus designers, including Mies van der Rohe, left behind many iconic chairs that are still considered masterpieces today. Let’s take a look at a chair, an item that excited modern designers. The act of sitting was suddenly a symbol of an empowered life, as the modern economy created many non-labor insensitive jobs to boost new middle class, who gained unprecedented opportunities for intellectual/creative works and/or free time for relaxing/socializing. Marcel Breuer, one of the most prominent Bauhaus artists, designed the iconic Wassily Chair in 1925-26. As he frequently rode a bike, he got the idea of designing a chair using tubular steel so that it could be mass-produced and made widely available to customers. He kept stripping off elements from the traditional overstuffed club chair until only the steel frame and canvas sheets were left. Though materially minimal, the product was strictly regulated by solid aesthetics: a combination of lines and curves that formed a fluid composition, and the spacing of the canvas minimized the use of fabric while keeping the sitter from touching the steel surface. Breuer said that the Wassily chair was his “most extreme work both in its outward appearance and in the use of materials; it is the least artistic, the most logical, the least ‘cozy’ and the most mechanical.” He pushed the envelope of what “art” meant back then, which focused on decorative details to celebrate people in power, to the point it radically reflected new societal values supported by modern technology. He delivered luxurious “art” to the people by pursuing the new aesthetics of minimalism. What we see in Wassily Chair (and the creation by the Bauhaus artists in general) is sincere attention to our bodies and their movements that produce actions and behaviors. The designers appreciated how physical actions were connected to cognitive/emotional behaviors, and how one could improve/elevate the other, getting things done and achieving the joy of living. Functionality-oriented minimalism was an integral part of the endeavors of the Bauhaus creations, which was about elevating the quality of people’s behaviors while living, sitting, sleeping, eating, writing and so forth. Such a candid focus on functionality to support users’ activities is also observed in Patagonia, an outdoor clothing and gear company hailing from a surf city in southern California. Patagonia, an outdoor apparel company founded by a rock climber who still calls himself a “reluctant businessman” after successfully leading it for 50 years, has been on a daunting mission to keep a company profitable without putting profit-maximization first. It is an unusual company that prioritizes social mission and environment protection over profits. As a B corporation, it donates “1% for the Planet”. 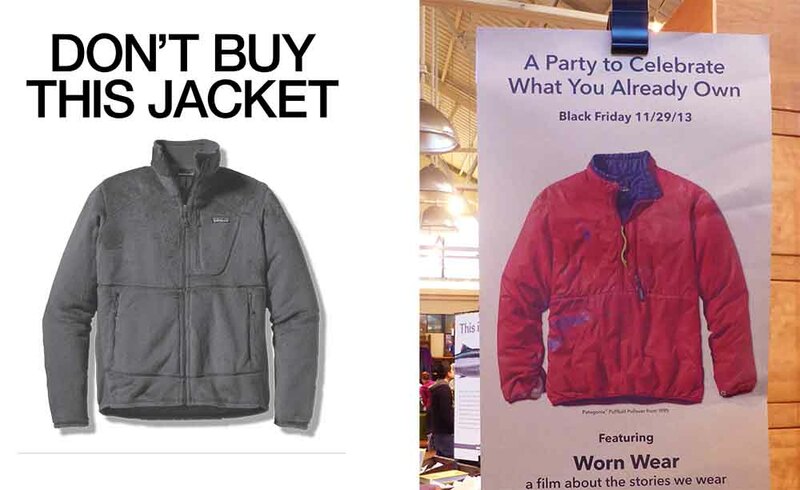 It famously implores “Don’t buy this jacket,” a slogan that asks people to think if they really need to buy new products before going out for Black Friday shopping. Left: Patagonia’s “Common Thread” initiative ad on the New York Times. 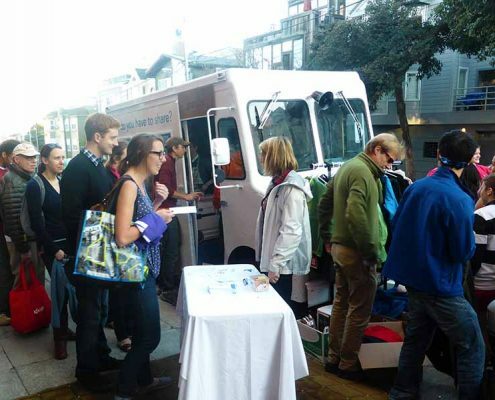 Right: “Celebrate What You Already Own” event at a San Francisco Patagonia store on Black Friday, 2013. The reason why Patagonia says “Don’t buy this jacket” is because they sincerely care about the environment and resources. This is a widely-known fact. But people don’t talk much about the hidden reason why a for-profit corporation that cannot survive without selling its products can say so. It does not make sense in theory, unless Patagonia belongs to a completely different economy in which selling “less,” instead of “more,” can somehow lead to a success. How can such a thing be possible? In order to understand the secret, it’s important to understand what makes Patagonia Patagonia. In his book “Let My People Go Surfing,” founder Yvon Chouinard – a.k.a. the reluctant businessman – reminds us that his company’s raison d’etre has always been to make “the best product” to satisfy its customers. Since many Patagonia users are ardent outdoor athletes such as rock climbers, skiers or surfers, the requisites for “best product” for Chouinard have always been based on the needs of outdoor activists – the products had to be functional, multi-functional, durable, simple and global so that they could endure extreme weather, intense moves and respond to special needs such as being easy to pack, being waterproof or drying quickly. Interestingly enough, as Chouinard pursued his version of the “best product” for people who were eager to try their limits in untamed nature, his design philosophy started to look a lot like the Bauhaus designers’ passion – practically minimalist to become functional and international in order to meet the needs of the people. Strange as it may sound, it is not a coincidence. What’s the common factor? They are both focused on unleashing the potential of users themselves. This is beautifully showcased in “Worn Wear,” a short film Patagonia made to celebrate its users who kept wearing its clothes for years. For those people who want to minimize “training wheels“ of any kind in order to challenge their limits, the design balance between what’s eliminated and what’s left can be close to 10:0. Steve House further describes the role of Patagonia gear in his extreme adventures to conquer freezing mountain tops as the “absolutely necessary to ‘exist.’” The gear gives him minimum protection to survive, but he takes on everything else in a life-threatening environment. We can only imagine how daunting it is, but there’s no question that the less you rely on external help, the more you rely on yourself, and the more confident you become about your capacity, the less need you feel for things that envelope, decorate and define you on behalf of you. The Patagonia users in the film probably don’t see “buy less” as a sacrifice for the planet. It’s simply a natural choice to stay who they are. If there were any “do the right thing” elements, they would probably do what was right for themselves. It works out fine because if you are such a resilient “self-actualizer” who choses to be in nature, what is right for you is equal to what is right for the environment. There is a big flipside value in the Patagonia user stories. In modern economy, a product’s value is the highest at the point of sale, and starts depreciating once the product is bought. Since this is an irreversible course, you need to keep acquiring new products to keep the value high. But with Patagonia, it goes the opposite direction. In “Worn Wear,” users experience memorable moments in their outdoor adventures while wearing their Patagonia clothing, and develop strong bonds with what protected them from the intense weather and moves and helps them pursue their dreams. As a result, the process in which the clothes become used and damaged, which is usually known as “depreciation,” transcends to a process that fosters love and sense of self-accomplishment: worn clothes are no longer a mere product, they are a long-time buddy with whom users have gone through a lot. The more worn, the more precious. When Patagonia says “used are better than new,” it’s not a rhetoric. It’s the truth. The “less is more” design opens up vast and exciting opportunities for users to engage and experience during the use phase. When this happens, the use phase is no longer a time for depreciation, but an opportunity for adding value. This upending of values has the potential to change the dynamics of how business operates, because it changes how value is distributed throughout the product’s life cycle. 1: In the current economic system, new products have the highest value, which starts depreciating once the product enters the “use” phase. The only way to get more value is to purchase a new product. 2: With Patagonia, a product increases its value despite physical wear and tear, because “used” means added values like experience and accomplishments. As a matter of fact, Patagonia products retain high resale values in secondary markets because people seek them as vintage. Retro Patagonia fleece is considered “cool.” Likewise, users repair used gear so that they can keep wearing them. 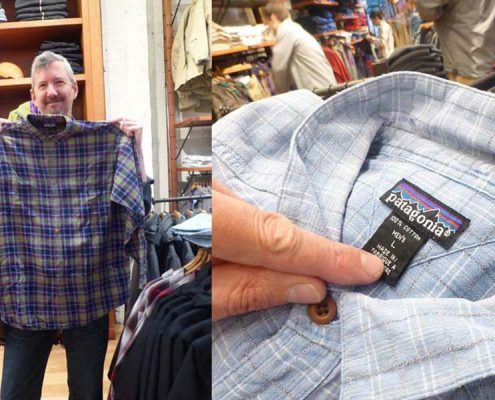 Obviously, the time worn into the Patagonia clothing adds a unique style that excites fashion fans, not only outdoor athletes. 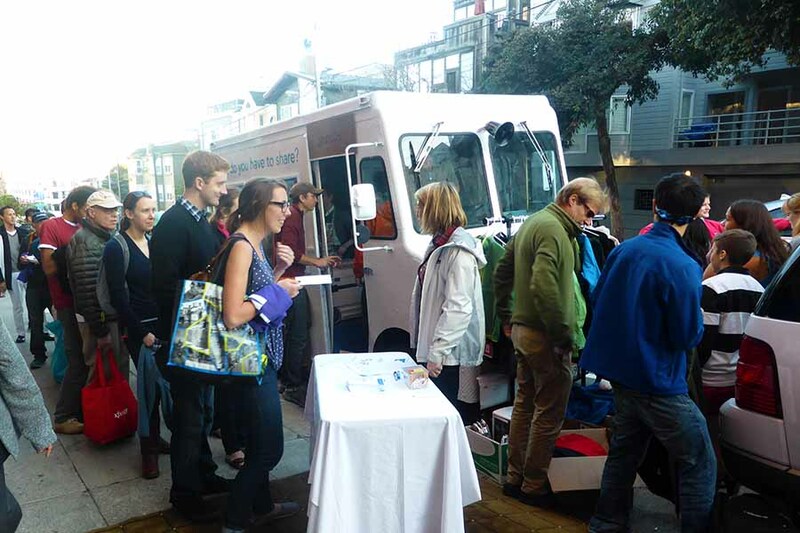 Left: People wait enthusiastically to find some “vintage” Patagonia gear at an exchange event outside the store. Center: This gentleman has been wearing his checked shirts for more than a decade. He brought them to the store to fix minor wear and tear. Right: He got a used jacket at the outside event that had malfunctioning zipper, so he is having an iFixit expert fix it. 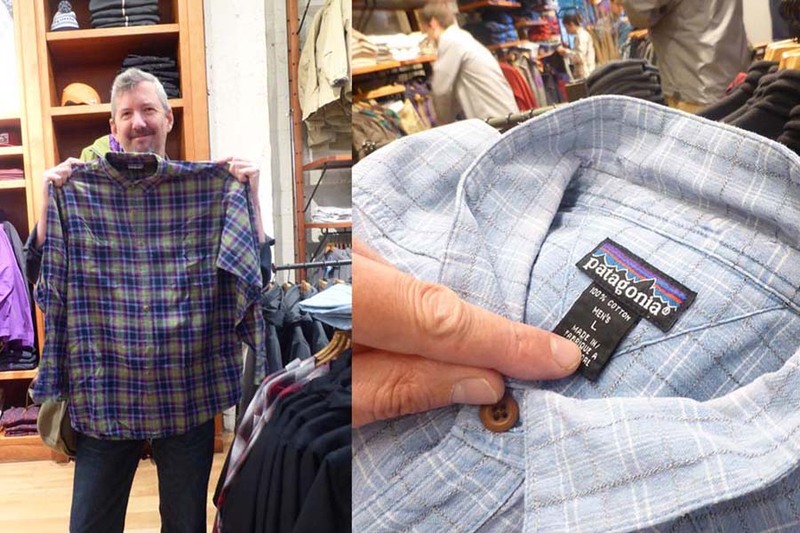 Images taken at “Celebrate What You Already Own” event at Patagonia San Francisco Store on the Black Friday, 2013. 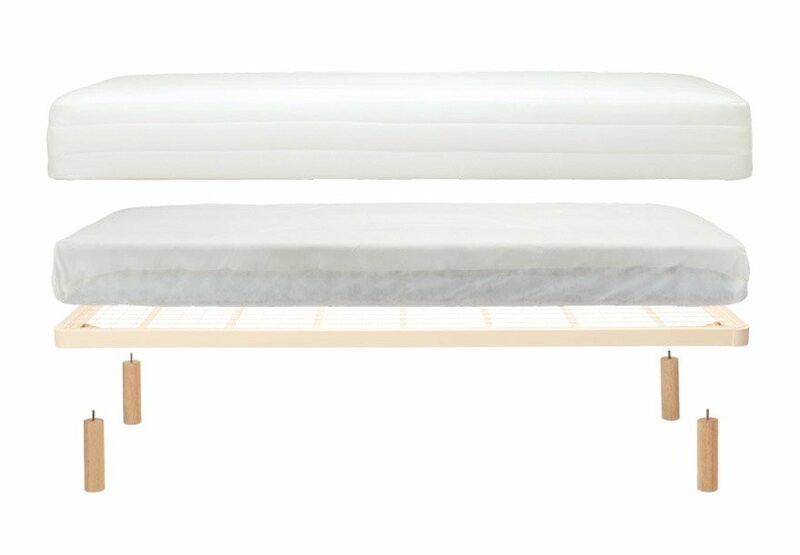 The “wabi-sabi” aesthetics and MUJI-embraced the notion of “emptiness” as a source of boundless potential. The Bauhaus and Patagonia pursued functionality-focused minimalism to empower people. Their determined quest for minimization realized extraordinary “voids” filled with potential/opportunities which inspired customers to paint their own pictures. 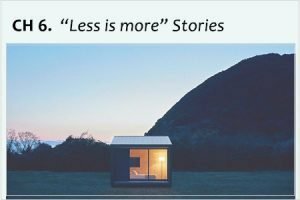 The “less is more” design is an invisible yet effective catalyst that empowers and entrusts users to complete the process of self-actualization, and it’s during this process “less” turns into “more.” When this happens, the amount of materials to be “consumed” no longer matters. The entire experience transcends the prevailing sense of satisfaction and excitement of “I did it!” When there is nothing to be consumed or to depreciate, there is no longer a consumer, which is, by the way, a weird role, because it sounds like you are only supposed to consume. It is not a fun role to play — being a total consumer “consumes” you, as it enslaves you with an endless command to “buy more.” You’d want to say you are a proud producer, but would you want to say you are a proud consumer? 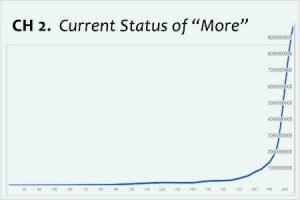 When you are a user of a “less is more” product, you are not a consumer anymore. Then who are you? You are a proactive and engaged user, an enthusiastic fan, an inspired creator, a resilient goal achiever, or simply a person feeling yourself and happy enjoying what you are bestowed with. Obviously, you are not simply consuming. Instead you are customizing, editing, creating and realizing. So it makes sense to call you a designer. In essence, as you get support, encouragement and inspiration from the “less is more” design, you are performing acts of designing from it so that the outcome can become what you envision. As design and aesthetics replace efficiency in the “less is more” economy, customers also become designers in their own way. But what does “design” really mean for users? 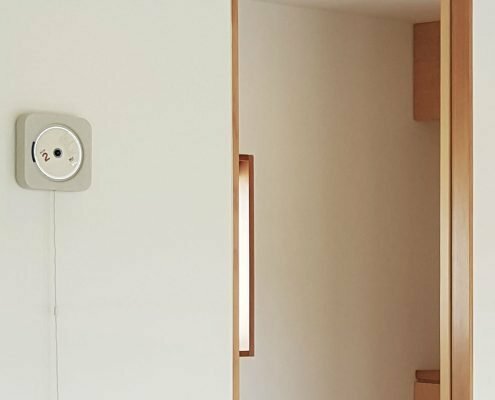 Naoto Fukasawa, an acclaimed product designer who designed many laconic and iconic MUJI products, has a very interesting insight. In his book “デザインの輪郭 (meaning ‘The profile/contour of design’)”, TOTO Publishing, 2005, he wrote that he saw the gist of a design in an act of boiling eggs. “Are you offering just boiled eggs? You must be kidding!” Friends who visit him and are served his eggs have to tease him first, but they immediately understand what he is talking about once they eat his “transcendental” eggs, which are the culmination of obsessive trials and errors. Fukasawa says it’s actually the simple acts that best reveal the fundamentals of design, which are, according to him, profiles/forms that emerge by connecting seemingly random dots (elements) that start surfacing when you focus on a certain behavior. It is just like how people invented constellations when they saw vague yet convincing connections among randomly scattered stars. Some of Fukasawa’s iconic MUJI design. Design emerges when we focus on a behavioral goal – even something as small as boiling eggs – and start connecting seemingly random elements that surround it, such as the quality of eggs, salt, water, temperature or chemical reactions that happen inside the egg shells. Even when they look random or are invisible, the connections among the elements that eventually shape a “constellation” are linked via our subconscious, cumulative memories shared through myriad of relevant experiences: perfect level of saltiness for boiled eggs is undeniably a product of our cumulative history of preparing/eating meals for hundreds of years. When Fukasawa finally connected all critical dots, a “constellation” for “perfect” boiled eggs emerged, and a new design was born. Fukasawa states that a professional designer should be capable of inventing “constellations” – unearthing and refining a invisible product, the hidden connections among various elements that hibernate in our collective subconscious behaviors. This is the first phase of design. Such products have the power to electrify and awaken users’ senses and abilities that had been idling for long time: “Wow I’ve never thought things could work this way!” That excitement sparks behavioral/cognitive changes on the side of users, which is the second phase of design. The “less is more” product providers offer common answers for a system of equations (like “hop, step” of the triple jump), and users will work on their own equation (jump!) using the momentum delivered by common answers. So, “design” for a user means connecting their own dots with the “less is more” design so that the outcome will lead to where they want be. When this happens, the boundaries between “producers” and “consumers” disappear, and everyone becomes connected through the act of designing, or a process for self-actualization, both individually and collectively. We truly become “we are in this together” in order to own the process for achieving happiness.